Dr. Lyne Desormeaux is a consulting psychologist and Master Certified Coach (MCC) bringing a wealth of experience and expertise to her coaching and advisory relationships. Her diverse experience in the areas of behavior, assessment, organizational psychology, business strategy, and leadership team development provides alternative perspectives for business-based objectives and behavioral change strategies. Lyne has successfully worked with C-level executives and their teams to clarify business strategy, design infrastructure, and identify leadership behaviors to support the chosen strategy. She has been involved in succession planning and developed senior teams to help executives gain insight, growth and improve interpersonal communication skills. She is skilled at addressing group issues or process challenges that stand in the way of effectiveness. Using her strong motivational skills, Lyne develops key leaders to gain insight, grow, and align their leadership with their business goals. She believes that her clients can be effective in their work while enjoying meaningful, creative and authentic careers, and she strives to bring that to fruition in her coaching. As a senior consultant with the telos institute, Lyne enjoys working with high-performing, successful executives who really take on their mastery as leaders. She focuses on building and co-creating relationships with her clients and has seen significant results from her work sessions. 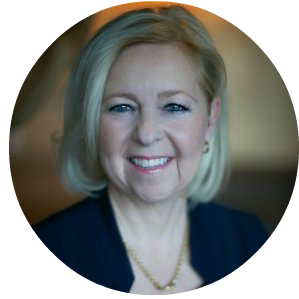 Lyne is known for her tenacity, focus, and ability to help leaders understand both underlying issues and key strengths in order to create significant behavioral change. The coaching engagements are usually both exciting and effective. She has worked with executives from companies such as Academy Securities, Aetna, Cisco, First County Bank, ING, Liberty Mutual, Lincoln Financial, Microsoft, National Multiple Sclerosis Foundation, SIAC, UBS, Webster Bank. Her Fortune 500 experience has included industries such as advertising, healthcare, technology, insurance, financial services, manufacturing and government. Lyne obtained her Doctorate Degree in Clinical Psychology from the California Institute of Integral Studies in San Francisco. She also has a Masters Degree from Harvard University and a Bachelors Degree from the University of Ottawa. Lyne is accredited by The Coaches Training Institute. She is a member of the International Coach Federation, the American Psychological Association, the Society for Industrial Organizational Psychology and the Consulting Psychology Division of the APA. She is Past President of the Society of Consulting Psychology as well as past Chair of the SCP Foundation. She is also fluent in French, her native language. Lyne is originally from Ottawa, Canada. She presently lives in Weehawken, NJ and loves running marathons, doing ocean swims and cycling.